I couldn’t have said this better myself. 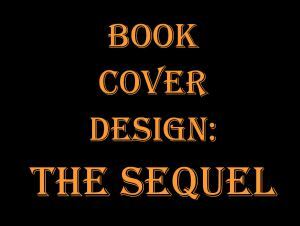 Good information to know when working with a cover designer. Thanks to Peter Fritze for writing this useful tip. Last post in my series of blogs on how to self-publish, I wrote about what a book cover design should achieve. As an author, to get the best result for your cover, it’s useful to know some tips about the process of working with a designer. I’m assuming here you’ve hired someone to create original art for your cover. First off, if you’re expecting your designer to read your book as part of the design process, don’t. She’s unlikely to have the time (or interest), and depending on the schedule for your book release, your manuscript might not be in proper shape anyway. Instead, be ready with a good, short synopsis, preferably written. Also, be clear about the book’s genre, mood and tone, perhaps comparing them to those of well-known books. This entry was posted in Self-Publishing Tips and tagged author, book cover, cover artist, cover design, kelly abell, publishing. Bookmark the permalink.